Happy and feel safesubmitted by Kellie P. - Sep 04, 2018 |Recommended: YesI am very pleased with the new mgmt team, really everyone in the office is fair and helpful. The maintenance staff are very friendly and helpful as well. I have seen 3 mgmt changes in less than a year at this property, and the first was pretty bad. But now I am pleased that there is a professional , responsive and mature staff on board now. They are all doing a great job and I am glad I renewed my lease. I feel welcome and safe. 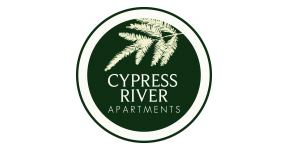 response from property - Sep 18, 2018 We are so happy to hear that you are enjoying your home at Cypress River and look forward to having you as a resident for another lease term. Thank you so much for the positive feedback, it means a lot to us! Quite, Nice place to livesubmitted by Britne G. - Jul 19, 2018 |Recommended: YesThis is a wonderful property to make your home. The amenity are amazing and so is the staff. Parking is by a first come basis that I enjoy makes it fair for everyone. The neighbors are friendly and we have evert to get together if you want to join. Only down is sometime you can hear your neighbors in corridors and in early morning getting ready. All in all this place is quite most of the time , clean, and beautiful. response from property - Jul 29, 2018 Thanks for the review Britne, we are happy you choose Cypress River as your home! Natural and community orientatedsubmitted by Kaylee R. - Jul 15, 2018 |Recommended: YesIts nice living here. The apartments are a good size could use more cabinet space but overall good quality. The staff have always been kind and many community activities are hosted. I hardly hear my neighbors, its quit peaceful. The grounds are beautifully landscaped but I wish there was a path outside the backside of my building that went to the clubhouse area parking lot you can tell many people walk here but when it rains it gets muddy . response from property - Jul 29, 2018 Thanks for the review Kaylee! We are happy you choose Cypress River as your home. response from property - Jul 29, 2018 Thanks Marsha! response from property - Jul 29, 2018 Thanks for the review Kyle! Friendly Communitysubmitted by Cibele B. - Jun 18, 2018 |Recommended: YesEverybody from the office to the neighbors is so friendly, clean neighborhood, nice interiors, fun pool area and love the events. response from property - Aug 08, 2018 Thanks for the review Cibele! Great Property submitted by Shana M. - Mar 05, 2018 |Recommended: YesI have lived here since October 2017 and I have not had any issues. The office staff is very friendly and helpful. response from property - Jan 05, 2018 Aron, that is such a wonderful compliment! We are so pleased that you are enjoying your new home! Greatsubmitted by Chris K. - Dec 31, 2017 |Recommended: YesI have already suggested to other people to consider this place. response from property - Jan 05, 2018 We are so pleased to hear that you are enjoying your new home! We are so appreciativethat you are referring others as well. We offer a really great referral bonus if they do decide to lease with us.